Off to the races: A day of firsts – These Two Eyes! My last memory of horse racing is May 2005 the day before I graduated from Towson University. Attending Preakness in Baltimore wasn’t too dissimilar to my recent racing experience but yet was on a totally different level. Imagine thousands of university students in the center of the racetrack, coolers of beer, portable radios, heat and lots of mud. Think pure debauchery and that was how I spent my last night before becoming a college graduate. October is Spring Racing Carnival season, with a different horserace event on every Saturday in Melbourne throughout the month. 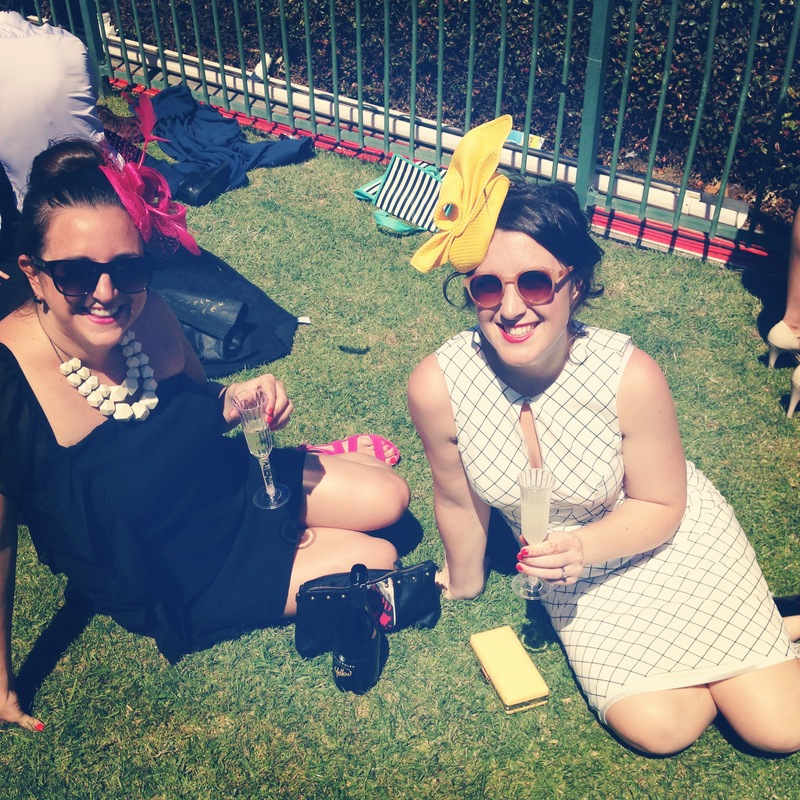 The races are all about high fashion, betting and sipping champagne in the sunshine. 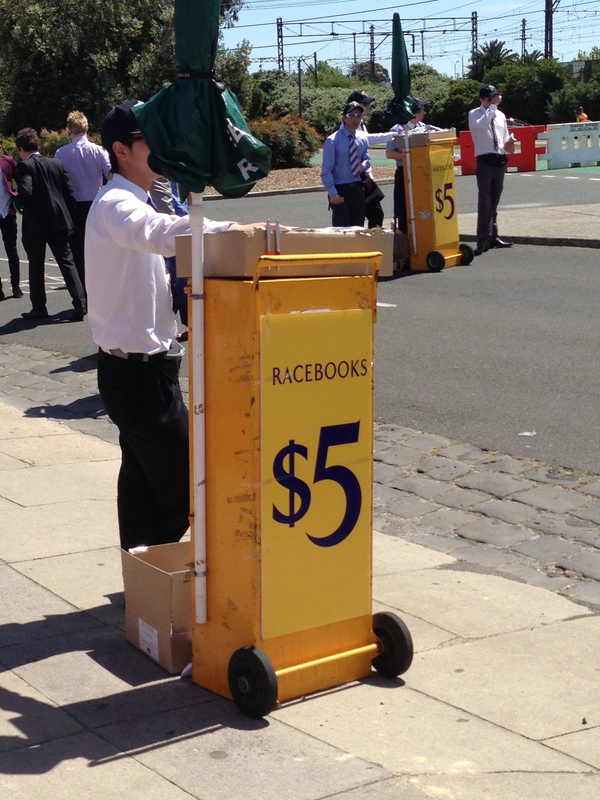 When friends invited me to attend the Caulfield Cup, I was overjoyed to attend a big horse race from the other side of the fence. But, finding the perfect outfit was going to be tough. All the different Spring Carnival races attract a different look, and for the Caulfield Cup I was told bright colors are in. And oh, I must wear a fascinator. Yup, one of those crazy hat things just like Kate Middleton! On the morning of I was quite self-conscious walking down the main street by myself in my fuchsia wedges and matching fascinator to meet my friends at the event. Luckily, the racetrack is only 10 minutes by train from my house and once on the platform many others in similar frock surrounded me. While waiting for my friends Susan and Henry outside the track I took a rest on the side of a wall to kill time. Luck would it have it, as I stood up to meet them I found myself stuck to the wall by bright blue gum! You’ve got to be kidding me. Dead sober, on the grounds for less then two minutes and my chic racing day outfit was fouled. A passerby suggested I just stick another piece of the dress to the gum to cover it up, and so I did and just carried on – now Googling remedies on how to remove it. Once inside the gates it was overwhelming to observe all the crazy outfits, hats and men in suits. We found an open spot on the grass just in front of the track, took our shoes off and lazed about in the sun while sipping on bubbly and making sporadic bets on horses that unfortunately didn’t win. I still have the sunburn to prove it. At least I learnt something new, like how to bet “both ways” and once the booze got flowing amongst the crowd it brought back memories of Preakness; women falling over, young people getting arrested, good old fashion shamelessness. We kept it tame and left before the last race, the official Caulfield Cup, as we were given complimentary tickets to a charity event that evening. 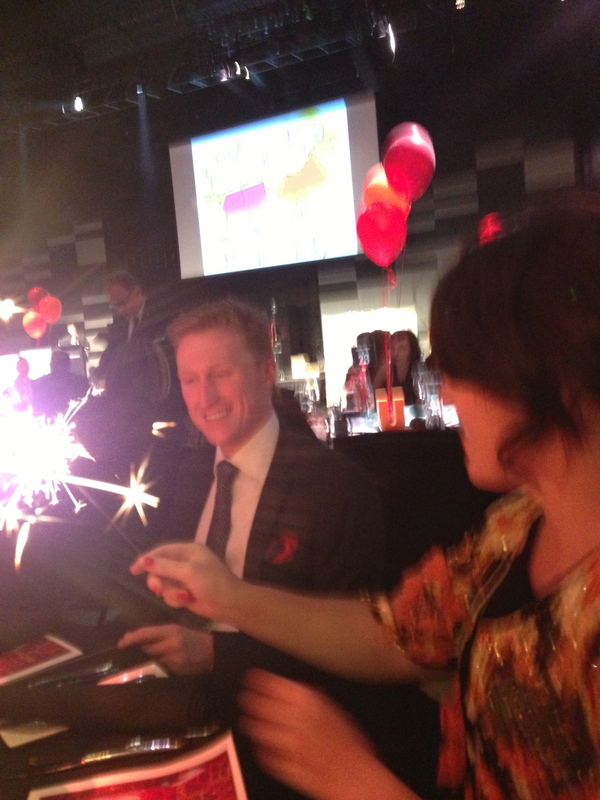 Another first, I was eager at the opportunity to take part in both the silent and live auction. 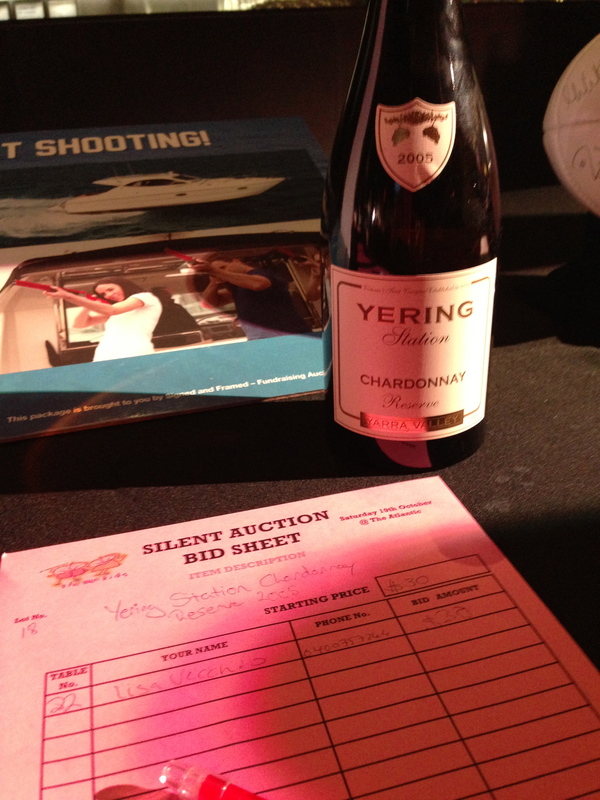 I was outbid on a 2005 bottle of Yerring Station Chardonnay that was starting at only $30 in the silent auction but happily walked away. 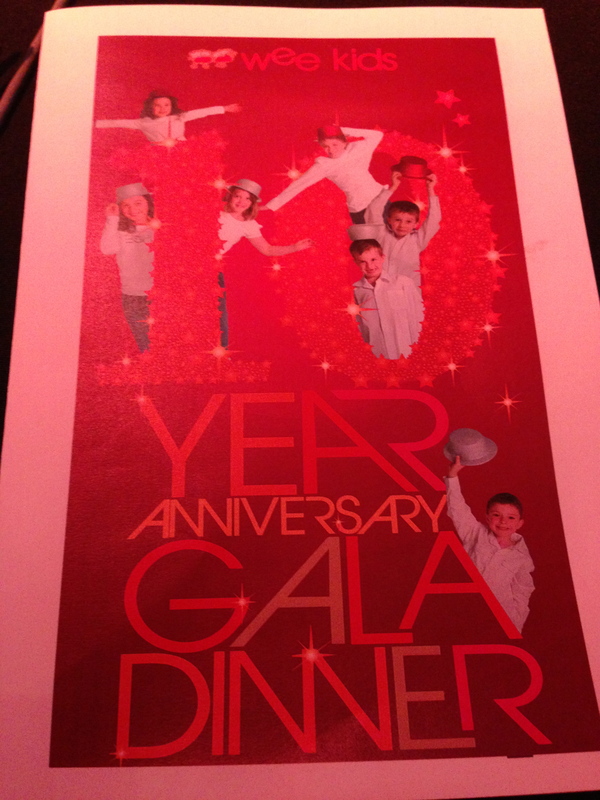 With charity events comes flowing wine so by the time I learnt all about Wee Kids celebrating their ten-year anniversary, I was inspired to contribute. When an 8-bedroom house on Efate in Vanuatu for a week stay was only going for about $1000 I was convinced if we got a big group together it would be an amazing deal. As the cost exceeded $2000 and the auctioneer looked at me and said, “going once, going twice,” I really started to freak. All the sudden my friends weren’t so sure if they were still interested, likely assuming it wouldn’t have gone this far. I breathed a huge sigh of relief once I was outbid and bowed my head slowly to avoid giving any other buying signals. That was close! It was an amazing day of firsts: Melbourne racing, fascinator wearing, auction bidding and I’m so grateful to Susan and Henry for inviting me to share the day with them to celebrate Henry’s birthday!